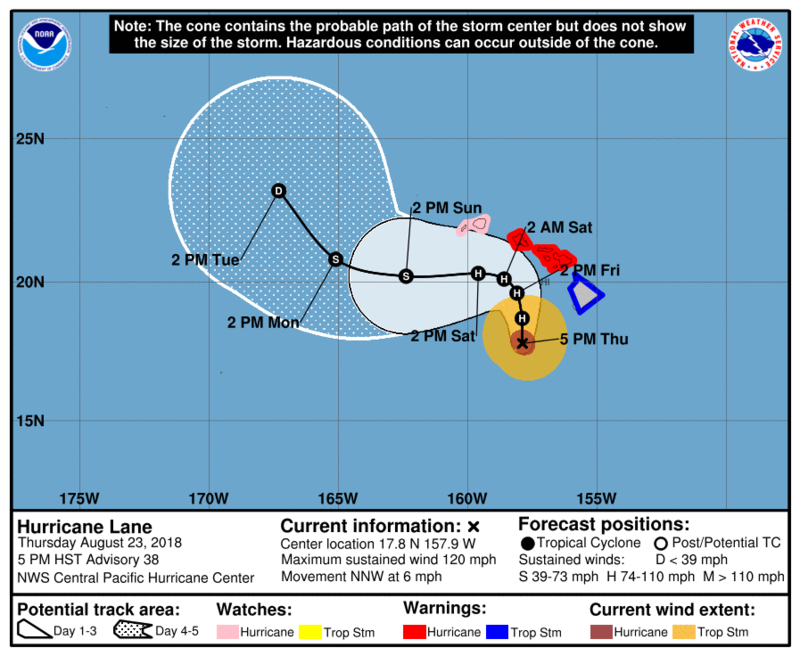 I thought I’d post a short update on Hurricane Lane on our blog. August 24 5 PM update. 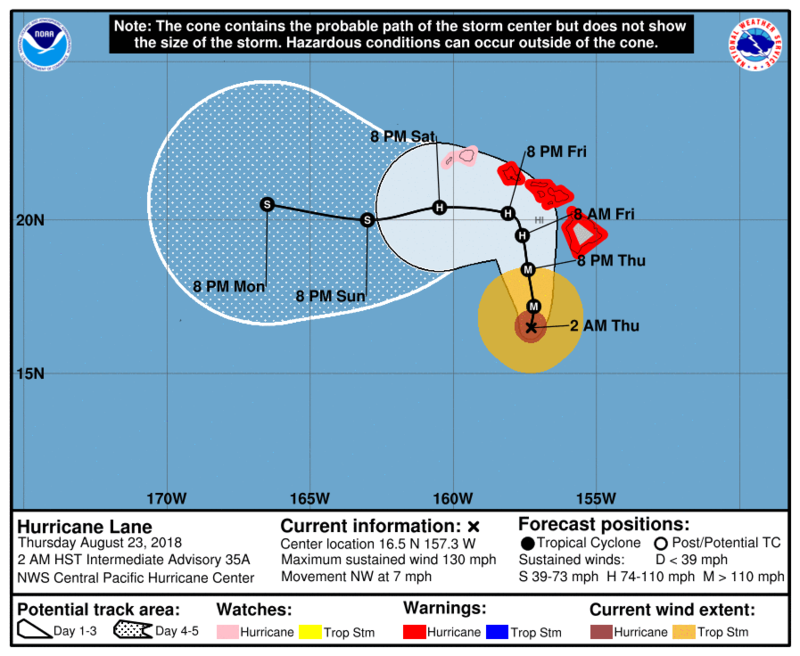 It turns out Hurricane Lane is no more. Thankfully the storm has been weakening and is now ‘just’ a Tropical Storm with maximum winds of 70 mph. Wow. What an incredible ride. We had 2 hours of steady rain this morning and word that the hurricane had stalled at speeds of 2 mph – more delays while it deteriorated. Don’t get me wrong – we are incredibly thankful. Just three days ago we were staring at a Category 5 hurricane headed straight at us. After days of preparation and stressing, today was quite anticlimactic in Kihei. 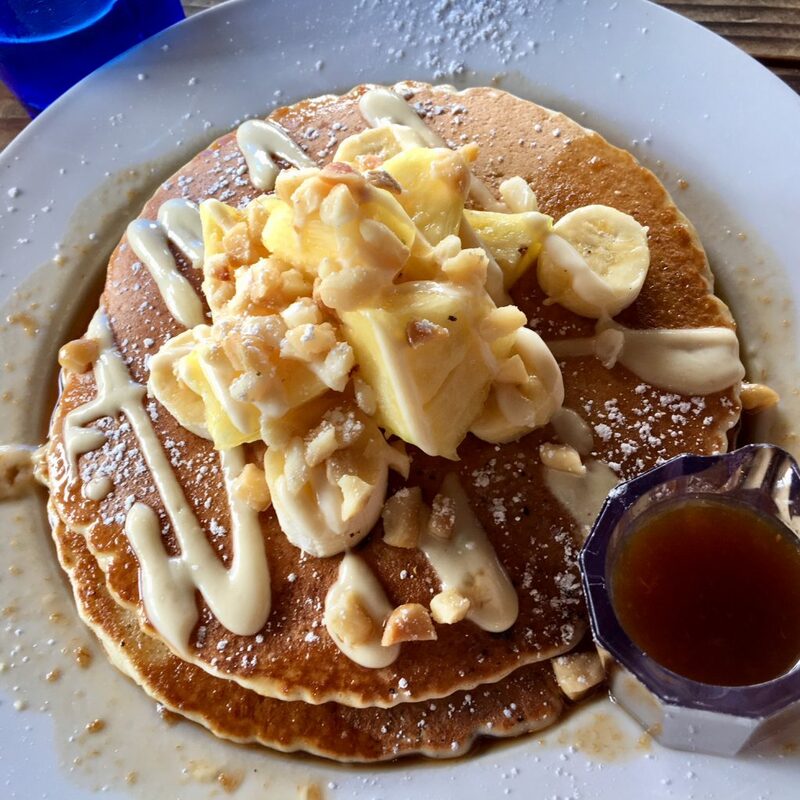 I went for a nice walk in the rain this morning along South Kihei Road (about a third of stores/restaurants were open). Then we did some necessary de-cluttering in our home. At noon neighbors who were also feeling stir-crazy asked us to join them for lunch. So we had a pre-hurricane lunch at Nalus. I had been snacking (on hurricane supplies), so I wasn’t terribly hungry. 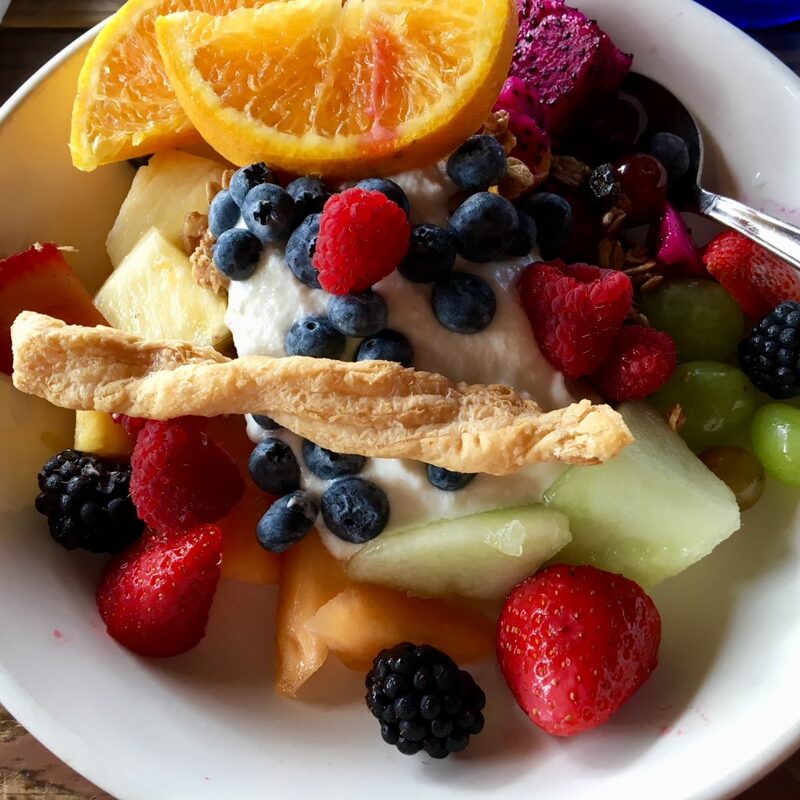 I had their fruit bowl while my son enjoyed the mac nut pancakes. Delicious and fun and a good distraction for us all. We know to still expect rain and wind and of course things can still change. Other parts of Maui have NOT been this fortunate. Lahaina/Kaanapali-side had higher winds while other parts of the island experienced flooding. Our thoughts are with those in Lahaina who lost their homes to the brush fires (7 were destroyed/damaged). But we are very relieved. A big thank you to all of you who have been thinking about, praying for us and sending us encouraging notes. It’s meant so much to me. August 24 7 AM update. It’s been a quiet peaceful night here in Kihei. We left the bamboo wind chimes hanging on our lanai as it would be sure to wake me if we got wind. Nothing. It’s overcast and dry with no wind. This has got to be the slowest moving hurricane ever. The good news is it’s now at Category 2 status – with winds at 110 mph. In other news on island – last night a brush fire started up near Lahaina. It’s been windy up there with gusts up to 50 mph, and the fire has spread badly. Officials had to move the emergency shelter out of harms way and entire neighborhoods are being evacuated. The highways encircling West Maui have been closed which means there is no way for anyone to get to the hospital (in Wailuku) other than by helicopter. August 23 9:30 PM update. It’s been a slow day here in Kihei. It’s been overcast and there’s been some drizzle. Upcountry there were about 2000 people out of power and apparently Kahului airport (OGG) lost power also. But so far we are still waiting. The hurricane’s speed has slowed some more. Moving at only 6 miles an hour, this means that even though the intensity has come down, the storm has even more time to unload moisture and rain. Parts of Big Island got doused today. Soon it will be our turn. 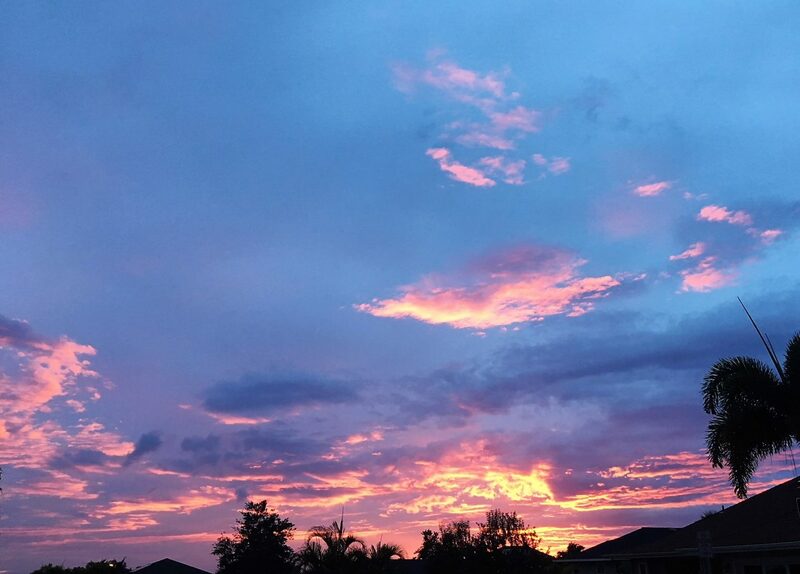 In the mean time, here’s what sunset looked like in our part of Maui. Currently in Kihei (it’s 3:50 AM HST on Thursday 8/23/18) it is calm and quiet. Yesterday afternoon we had some gusts up to 30 mph according to my husband’s weather station. We went for an evening walk down to the beach yesterday and were caught in rain shower. 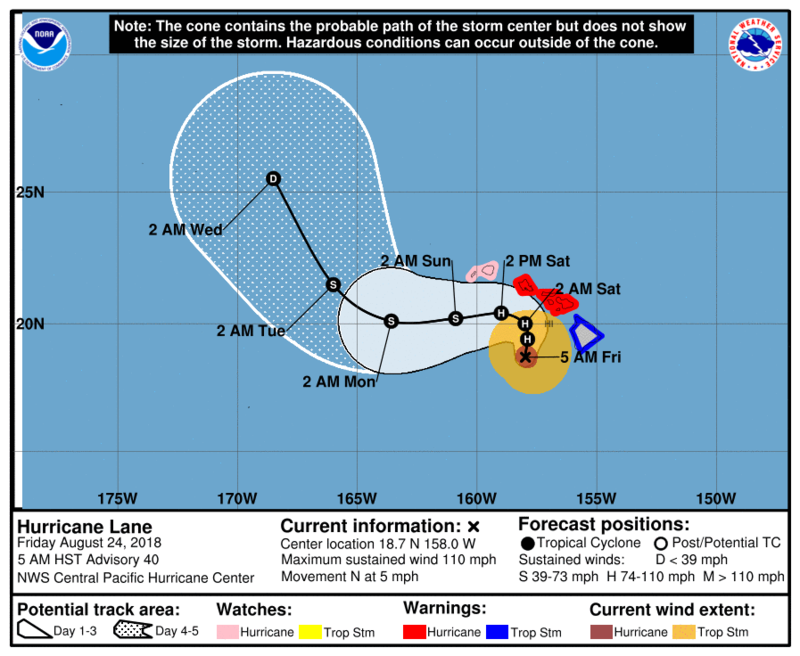 At this time Hurricane Lane is expected to spend time with us on Friday. The system is physically moving slower than expected. This is not a good thing – the winds should slow down, yes, but we want the system to move past Hawaii as quickly as possible. When it camps out here, we get heavier rain and more damage. I will keep you posted. 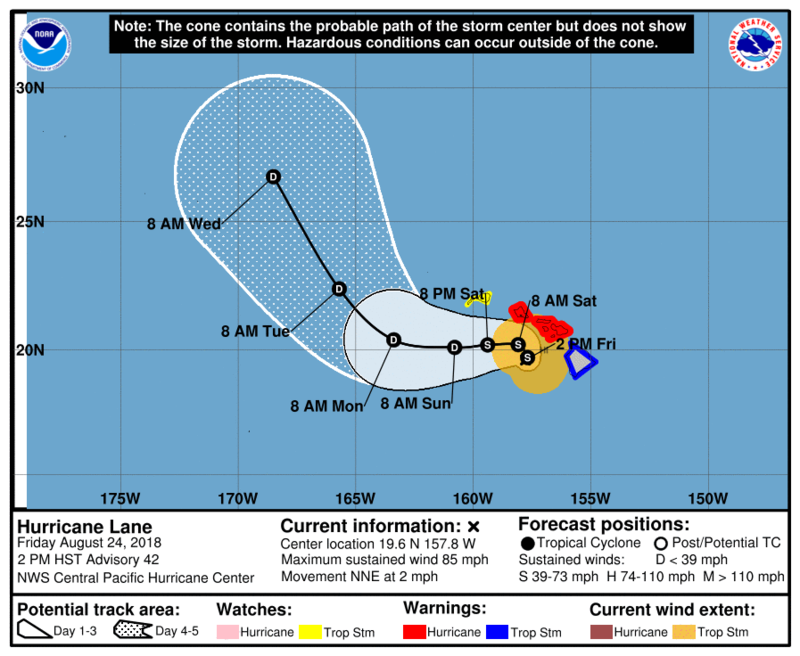 For more information on Lane – check out the Central Pacific Hurricane Center’s website. By the way – yes, I am prepared. 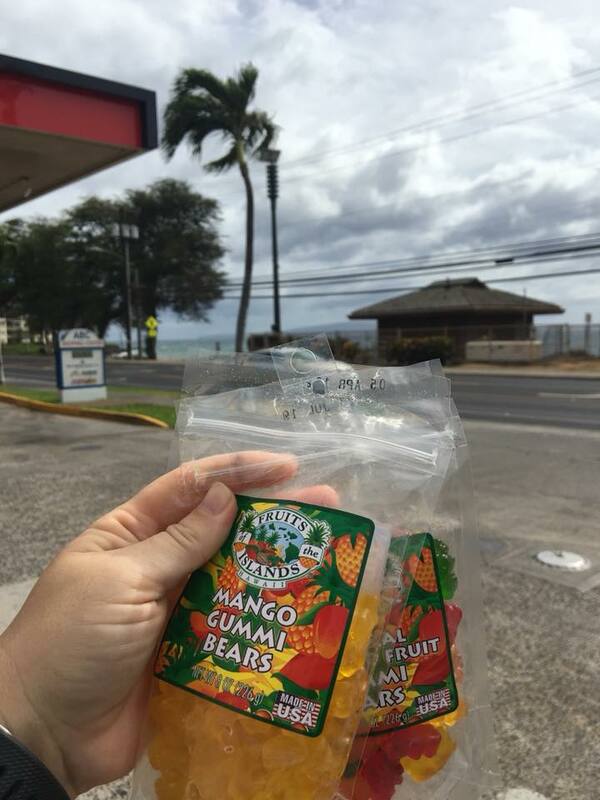 Besides all my hurricane shopping (7-14 days supply of water and food), I also have these amazing fruit gummies. They are fantastic.